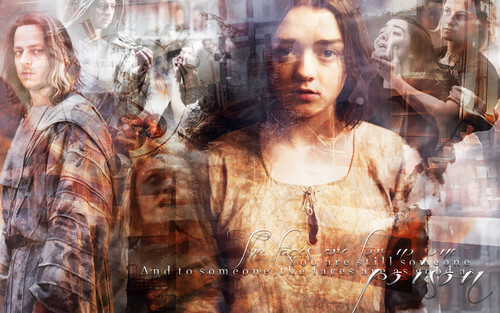 आर्या स्टार्क. . HD Wallpaper and background images in the गेम ऑफ थ्रोन्स club tagged: photo game of thrones season 5 arya stark. This गेम ऑफ थ्रोन्स wallpaper might contain फर कोट, फर कॉलर, फर लहजे, फर उच्चारण, and फर एक्सेंट.